There are over 130 costumes apart of the Varekai wardrobe which took over 33,000 hours to make. The wardrobe for the show consists of original creations from a team of highly skilled costume makers and it takes a total of 250 hours a week to maintain the costumes on tour. That’s a lot of hours! The attention to detail of each wardrobe piece shows the rich quality of the production and the intricacy of each character. The costumes are as mind blowing as the show, making for a one-of-a-kind experience. 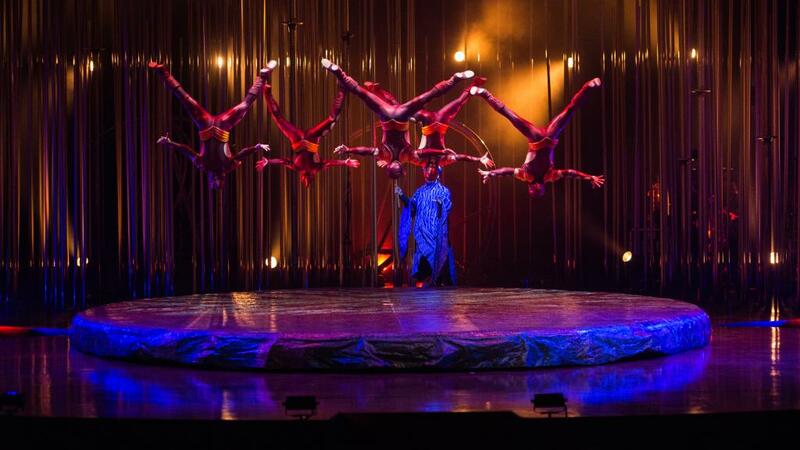 Cirque Du Soleil originally set out to redefine the circus and years later this has been accomplished. Professional acrobats will push themselves to extremes you’ve never seen before on trapeze, aerial straps, Russian swings, and even cry wheel acts. With over 12 different acts, there is something for everyone to watch in awe. Varekai is a magical land where anything can happen. It takes a master set design to achieve all that the show encompasses. The stage is home to five traps, two turntables and an elevating platform. The set also supports over 300 “trees” to create a magical forest feel with at least twenty-odd “acrobatic trees” for cast member use during the show. 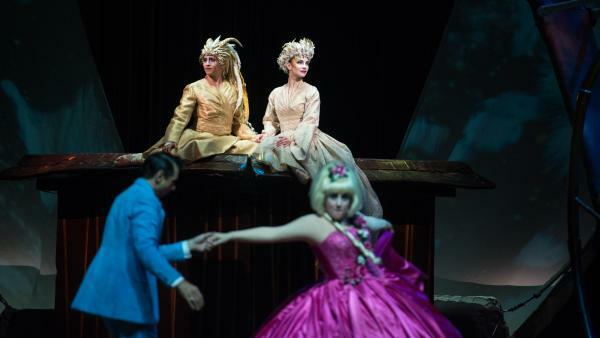 The musical score for Varekai is diverse and unlike any other. It draws inspiration from a variety of cultures, with no clear core influence. It is a unique composition with different sounds of Hawaiian ritual to even songs of 11th-century troubadours from the south of France. This is also similar to the cultural diversity of the cast members who as a group are representative of over 19 different countries. The music lends itself to the uniqueness of the show creating an all-around fun experience. Since the show launch in 2002 in Montreal more than 10 million people have seen Varekai. Varekai is critically acclaimed and no exception to Cirque Du Soleil’s prestigious caliber of performances. Over 50 world class performers make up the show, all pooling their talent for one spectacular show. Varekai is not one to miss and worth seeing during its tour stop in the Salt City. Varekai hits the Oncenter War Memorial Arena in Syracuse on November 15 and stays until November 19. You can buy tickets here or try your luck to win your way in here.